St Kilda is an inner suburb (neighbourhood) of the metropolitan area of Melbourne, Victoria, Australia, 6 km south-east of Melbourne's Central Business District. For ratings, where to stay, more things to do, and other tourist information, use the St Kilda trip itinerary maker website . Kuala Lumpur, Malaysia to St Kilda is an approximately 11.5-hour flight. You can also do a combination of bus and flight. You'll lose 2 hours traveling from Kuala Lumpur to St Kilda due to the time zone difference. Expect colder temperatures when traveling from Kuala Lumpur in May; daily highs in St Kilda reach 20°C and lows reach 10°C. On the 17th (Fri), you'll travel back home. 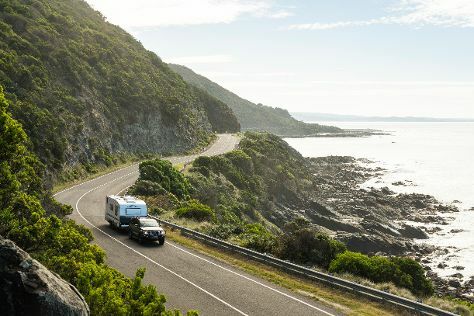 The Great Ocean Road has been added to your itinerary. On the 17th (Fri), indulge in some personalized pampering at some of the best spas. On the next day, explore and take pictures at The Great Ocean Road and then tee off at Anglesea Golf Club. To find ratings, photos, where to stay, and tourist information, go to the Torquay itinerary maker website . Drive from St Kilda to Torquay in 1.5 hours. Alternatively, you can take a train; or do a combination of train and bus. May in Torquay sees daily highs of 20°C and lows of 8°C at night. On the 20th (Mon), you're off tohome.